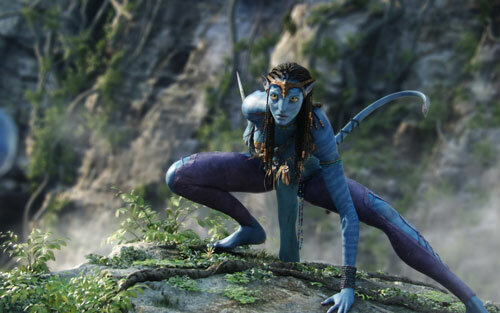 This weekâ€™s Danger Gal profile is on Neytiri from the blockbuster movie Avatar portrayed by actress Zoe Saldana. Itâ€™s challenging to unpack my thoughts on this movie, especially keeping in mind that I have very much enjoyed Cameronâ€™s previous films. I donâ€™t want to have a knee-jerk fan-girl â€œI loved it!â€ response, but neither do I want to completely pan it. There are good and not-so-good elements in this movie, but I still think Neytiri stands out and is worthy of a Danger Gal profile. One of the main feminist criticisms of this film and of Neytiri specifically is that the character has breasts even though Cameron admitted the the Naâ€™avi arenâ€™t â€œplacental mammals.â€ This is a blatant Science Fiction world-building â€œFAILâ€ and should be acknowledged as such. Having said that, Naâ€™avi of both genders are portrayed as variations of mammals. Female Naâ€™avi have breasts, but male Naâ€™avi are built like caricatures of male mammals with the inverted â€œVâ€ body shape prevalent in Romance genre heroes — extremely broad shoulders and narrow hips. To be blunt, Iâ€™m surprised there havenâ€™t been more crude jokes about what Naâ€™avi -Jake is hiding under that loin cloth. In that aspect, I think the objectification is fairly equal. The world-building fail had a purpose and that was to enable human mammals (i.e., the audience) to relate â€“ and root for â€“ the Naâ€™avi. Moreover, despite Cameronâ€™s enthusiasm for this aspect of the story, Neytiri is not defined by this attribute. In contrast to male Naâ€™avi forms, Neytiriâ€™s body shape is not really a caricature of the female one as compared to other female cartoon characters like Jessica Rabbit. First up, it gives us a look at what’s become of Earth. Turns out we’ve destroyed the planet â€” people wear clean-air breathing masks, the world is cluttered with ads, and sounds like a cold, concrete place. At least, that’s the world that poor and unfortunate Jake Sully calls home. Also, I have to wonder what the discussion would have been like had Jakeâ€™s character been a female paraplegic. How would we view this idea of the body as not only disposable, but also something to completely reject, as Jake does at the end of the story? There are two main differences, as I see it, between Avatar and other â€œgoing nativeâ€ stories: (1) the enlightened spirituality of the Naâ€™avi is objectively verifiable in the story, and (2) when Jake goes native there is no going back. Viewers canâ€™t write off the Naâ€™avi idea of Eywa as some kind of â€œNew Age mojoâ€ because the scientist in the story (a woman, but more on that later) verifies that itâ€™s in fact a real, biological network. Likewise, gender assumptions are functioning similarly in that on the human side of the conflict, all of those who want to destroy the Naâ€™avi are male and itâ€™s a human female scientist who recognizes the error. While I loved that Cameron created a scientist who also happens to be female â€“ something we need to see more often — there are overtones that she sees the mother in Pandoraâ€™s â€œmother natureâ€ precisely because of her femaleness. 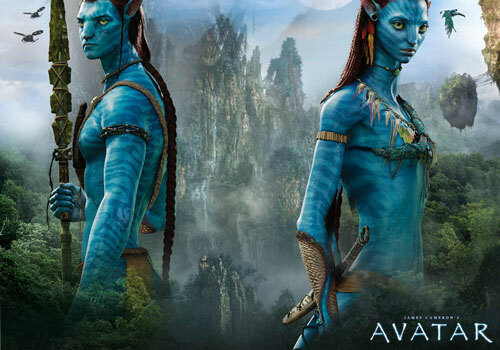 On balance, I enjoyed Avatar and relished in Neytiriâ€™s experiences. She is a strong character with her own arc and is not written as the stereotypical sidekick, or as Jezebel put it “handbags” or “girlfriend parts.â€ A formidable warrior, Neytiri is Jake Sullyâ€™s mentor not just in the softer emotions of falling love, but in the Naâ€™avi art of war. Avatar is also another example of a Science Fiction Romance that doesnâ€™t skimp on the world-building, science, or character relationships.